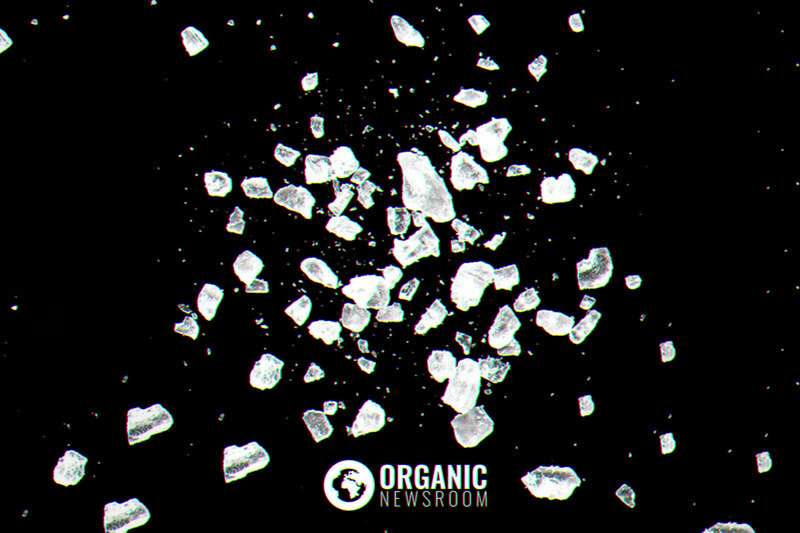 Iodine is an essential trace mineral that has wide-ranging health impacts. Sadly, iodine cannot be made by the body and so must instead be consumed in the diet. In areas where iodine levels in the soil are low, deficiencies can occur. Individuals deficient in iodine can experience a wealth of related health complications including goiter, hypothyroidism and developmental problems in children. Where Do We Get Iodine From? As we cannot produce iodine in the body it must be consumed in the diet. Some of the most reliable sources of iodine come from the ocean, where iodine is present in healthy volumes. Ocean-going fish and shellfish are both excellent sources of iodine, as are seaweeds like kelp, whilst iodized sea salt can also be highly beneficial . Iodine is also present in the soil and may be absorbed by food plants. Fruits and vegetables can be excellent sources of iodine, as can foods derived from grains and cereals. Lastly, it is possible to benefit from the iodine present in animal-derived foods such as milk, cheese, and yogurt. In most parts of the world, a balanced diet is enough to avoid iodine deficiency, but problems can occur either through improper diet or where unsuitable levels of iodine are present in the soil. Nutritionists have found that the iodine content of fruits and vegetables can vary widely, impacting total iodine consumption. Due to iodine’s critical role in the body, and the ease of supplementation, the World Health Organisation (WHO) has described a deficiency as the most common preventable cause of brain damage, with an estimated 2.2 billion people in 130 countries at risk of iodine deficiency . Iodine is used by the thyroid gland to create a number of different thyroid hormones. These hormones, in turn, help to regulate metabolism in the body . In such a way iodine is critical to the maintenance of a healthy body weight and energy levels. Thyroid hormones also help to regulate the liver, pituitary gland, and muscle development. Perhaps even more seriously, iodine seems to play a major role in the brain development of children, and a lack can cause wide-ranging issues from brain damage through to problems with motor skills . For this reason, strict guidelines have been set for the levels of iodine we should all be receiving, and pregnant ladies have been a particular focus in recent years. At present, most authorities believe that adults should aim to consume 0.15mg of iodine per day. 0.25mg per day is recommended for children and pregnant ladies . Iodine deficiency exists on a scale, from mild to severe. Whilst more severe cases will often show clinical signs such as a swollen thyroid gland or obvious changes in metabolism, milder cases can be harder to diagnose. As we have seen, however, these so-called “subclinical” conditions can still have far-reaching impacts on health and quality of life. Iodine deficiency in children can have significant impacts on growth and development, together with the performance at school. One study found that providing iodine supplements to otherwise deficient children “improves cognitive and motor function” in school-age children . A separate study found improvements to “information processing, fine motor skills and visual problem solving” when deficiencies were eliminated . Whilst much of the scientific research has focused on children, adults can also be affected by iodine deficiency. It has been estimated that as much as ten percent of adults and twenty percent of people over sixty may show signs of deficiency at some point in their lives. In such cases, symptoms such as high cholesterol, weight gain, and feelings of fatigue can ensue . A side-impact of iodine deficiency is that it can lead to goiter. This is where the thyroid gland swells up, in an attempt to absorb more iodine from the bloodstream. This visual sign of a serious iodine deficiency can cause great discomfort and difficulties breathing or swallowing . Long-term deficiency has been linked to such serious health complications as obesity, joint pain, infertility and even heart disease. Studies have shown that in women, hypothyroidism caused by an iodine deficiency may also increase the risk of atherosclerosis (hardening of the arteries). One common problem leading to iodine deficiency is the highly variable volumes to be found in many foods. As a result, supplementation can offer benefits, allowing individuals to feel confident in consuming the correct daily intake. There are two common substances used as supplements. The first of these is sea salt or iodized salt, which can be used in everyday cooking to boost iodine levels. Alternatively, iodine supplements – often derived from seaweed – can be taken. Multivitamins containing iodine supplements have also been shown to be effective. Experiments suggest that taking iron supplements alongside iodine can lead to greater improvements in thyroid function when compared to iodine supplements alone. Care should be taken in using supplements to ensure that too much iodine is not consumed. Over supplementing with iodine may cause hyperthyroidism, which can accelerate the metabolism, leading to weight loss, sweating and changes in personality. There is no denying the importance of iodine in the body, or the necessity of receiving suitable volumes in the diet. If you are concerned that you may not be receiving enough iodine then it is wise to consult a health practitioner for their advice. Supplementation with iodized salt or kelp tablets can prove an easy and cost-effective way to ensure you are consuming suitable daily quantities. This article was produced by Richard, a lifelong health and fitness fanatic, who works with Simply Supplements. National Health Services. “Vitamins and Minerals – Iodine.” NHS Choices, NHS, 3 Mar. 2017, www.nhs.uk/Conditions/vitamins-minerals/Pages/Iodine.aspx. Hetzel, Basil S. “Eliminating Iodine Deficiency Disorders: the Role of the International Council in the Global Partnership.” Bulletin of the World Health Organization, World Health Organization, 1 Jan. 1970, https://www.ncbi.nlm.nih.gov/pmc/articles/PMC2567792. Dunn, John T. “What’s Happening to Our Iodine?” OUP Academic, Oxford University Press, 1 Oct. 1998, academic.oup.com/jcem/article/83/10/3398/2865250. Glinoer, D. “The Regulation of Thyroid Function during Normal Pregnancy: Importance of the Iodine Nutrition Status.” Best Practice & Research. Clinical Endocrinology & Metabolism., U.S. National Library of Medicine, June 2004, www.ncbi.nlm.nih.gov/pubmed/15157832. Zimmermann, Michael B. “The Adverse Effects of Mild-to-Moderate Iodine Deficiency during Pregnancy and Childhood: A Review.” Thryroid, Mary Ann Liebert, Inc. Publishers, 23 Oct. 2007, online.liebertpub.com/doi/abs/10.1089/thy.2007.0108. Zimmermann, M B, et al. “Iodine Supplementation Improves Cognition in Iodine-Deficient Schoolchildren in Albania: a Randomized, Controlled, Double-Blind Study.” The American Journal of Clinical Nutrition., U.S. National Library of Medicine, Jan. 2006, www.academic.oup.com/ajcn/article/83/1/108/4649445. Mayo Clinic. “Hyperthyroidism (Overactive Thyroid).” Mayo Clinic, Mayo Foundation for Medical Education and Research, 28 Oct. 2015, www.mayoclinic.org/diseases-conditions/hyperthyroidism/symptoms-causes/syc-20373659. Previous articlePolyphasic Sleep: Can the Brain Function Properly?